Taking photos is easy: look and press on the button. The difficulty is: when and how. 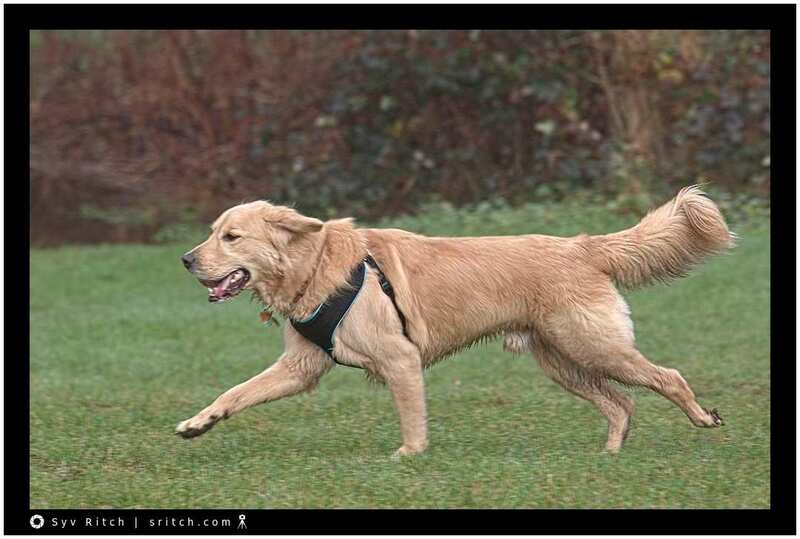 I wanted to take this Golden Retriever running but show the feeling of him running, not frozen in time and still track him as he’s running. The shutter speed need to be fast enough, because I’m moving to keep up with him. But the shutter speed must not be too fast for that feeling of the movement.